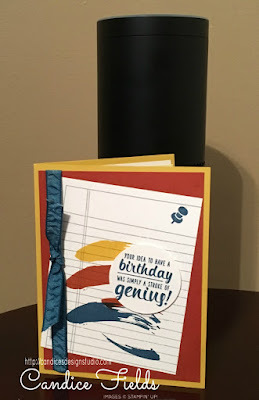 Birthday Genius with Stampin Up! Hello friends! Today, I sharing a birthday card I received from a swap. What I love the most about this card is that it's not super girly. I tend to lean towards pinks and purples because they are my favorite colors.